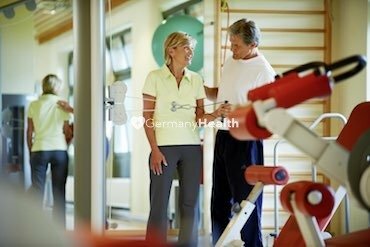 The Rehabilitation Hospital PassauerWolf Bad Griesbach has its own laboratory that allows doctors and medical staff to carry out not only rehabilitation processes but also high quality diagnostic process. Various rehabilitation and treatment facilities such as fully equipped gyms, massage rooms, training centers for movement rehabilitation, hydrotherapy facilities, etc. are always at your service. Such variety creates an opportunity to carry out rehabilitation treatment and treatment processes orthopaedic and neurology cases but also emergency/accident-related or after brain stroke rehabilitation. At the Rehabilitation Hospital PassauerWolf in Bad Griesbach offers a unique synergy of sophisticated technology in medicine and therapy with luxurious ambiance and outstanding service. There is 4-star hotel connected to rehabilitation hospital with comfortable rooms for those who like to stay there or your family members. At the clinic state-of-the-art technical devices such as ECG and sonography units are available so are in excess of 95 beds. 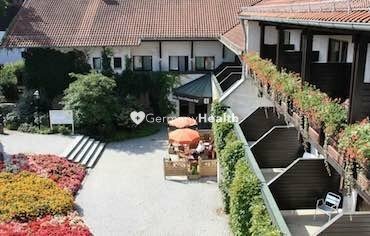 The clinic is situated in Bavaria close to the Bavarian forest and just a 1 1/2 hrs. drive away from the Munich International Airport center. A 30 min drive to the next town Passau at the Danube river and 1 hr drive to Linz in Austria. 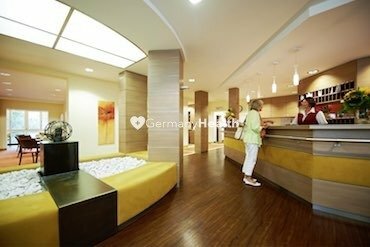 The Rehabilitation Hospital PassauerWolf is fitted with regular hospital rooms on the ward and comfortable rooms at their hotel for international patients, to provide the highest standard of comfort during their hospital stay. The rooms feature a bathroom incl. shower and TV. You also can book a junior suite for a very comfortable stay with a lot of space. 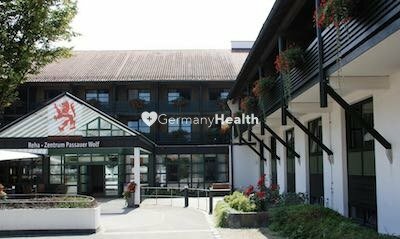 The Rehabilitation Hospital PassauerWolf offers daily menu and accepts any special dietary requirements. The beds are fitted with a phone and all rooms have WiFi so that patients can stay in touch with their family. 1 family can stay with the patient on the room incl. the daily menu. The hospital has been awarded numerous certificates and awards for its excellent level of service and quality, including the ISO 9001:2015 certification, as well several awards. The Rehabilitation Hospital PassauerWolf combines In the areas of neurology, (Phase B and C), orthopedics, traumatology, and sports medicine. The hospital for rehabilitation covers the entire range of medical services, rehabilitation therapy, and rehabilitation treatment. In the close neighborhood, you find shops for food, cloth, a pharmacy, many restaurants, hairdresser, hotels with bars and a thermal bath for swimming and relaxing. In the areas of traumatology, our clinics cover the entire range of medical services – from diagnostics rehabilitation treatments such as physiotherapy, manual therapy, lymph drainage massage, craniofacial treatment, etc..
We regard state-of-the-art technology and techniques in diagnosing, understanding and treating disorders of the entire musculoskeletal system and a holistic, interdisciplinary approach to therapy as a matter of course.